God's knowledge means that God knows. What does God know? God knows everything about all things. God knows all about you. He knows you inside and out, and from top to bottom. He knows when you get up and when you lie down. He knows your actions, your thoughts, and your motivations. He knows everything there is to know about you. He even knows every hair on your head. God knows all about your past, He knows all about your present, and He knows all about your future. God's knowledge means that God foresees. Because God foresees, He is your perfect provider. God can make provision for your needs today because His knowledge allows Him to see your need before it happens. He saw yesterday the need that you have discovered today. 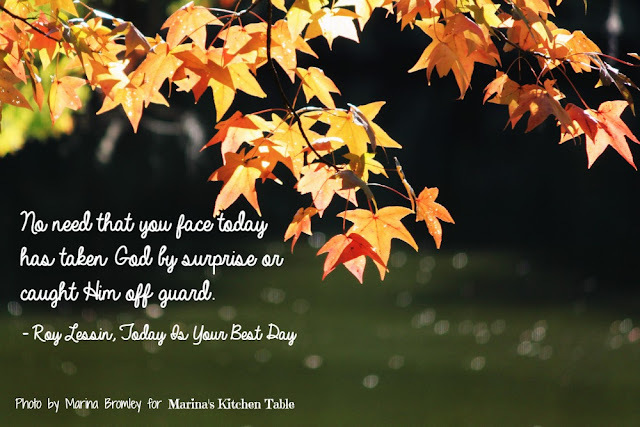 No need that you face today has taken God by surprise or caught Him off guard. He doesn't wait for you to have a need before He comes up with a plan to solve it. His solution was made long before you discovered you had a need. Many years ago I was doing missionary work in Mexico. One day my coworkers and I decided to take a fact-finding trip to a city that was located many hours away. In order to get to the city we would need to drive through a large mountain range. Our main purpose in taking the trip was to find someone who could provide us with information about the missionary work being done in the city and the surrounding area. As we were winding our way through the mountains, we heard a loud explosion. It didn't take us long to realize that our rear tire had blown out. We guided our truck as close to the side of the road as we could and got out. The tire was destroyed and could not be patched. To make matters worse, we had no spare. What to do? We all gathered at the back of the truck and prayed, asking God to meet our need and take care of the situation. We had no sooner said "Amen" than a vehicle came around the curve. The driver slowed down and pulled in behind us. Out stepped a tall American who introduced himself and asked if he could be of any help. When he heard out story he immediately replied, "I have an extra tire in the back of my truck that I believe is the same size as yours." The tire was the exact fit. We also discovered that the man was a missionary who was returning from a six-week visit to the States and that he lived in the city we were going to visit. He turned out to be the perfect contact for us. The Lord knows all about you today and He knows what is best. You can be certain that His knowledge will cover you from the start of the day until its end.